Philips BDP7500S2 review | What Hi-Fi? 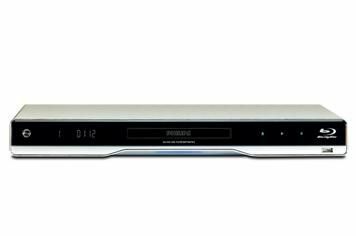 Philips' first ever 3D Blu-ray player comes in a MkII version of the firm's BDP-S7500 deck. The upgrade is officially marked with the ‘S2' suffix, though the unit itself – and several retailers – sports the MkII name. Either way, you get a stylish, aluminium clad chassis, and mirror-finish fascia, complete with flashy touch-sensitive buttons. There's also 1GB of internal memory and a set of multichannel analogue outputs for those with elderly home cinema amps with no HDMI inputs. The player also offers wireless connectivity (via an optional, £48 dongle), Net TV functionality for accessing online content, and DLNA-certification so you can stream media to the player from suitable sources. Start with the task of upscaling a DVD and the Philips shows some decent skills. The image is reassuringly sharp and displays a good level of detail, although there's a slight trace of vertical flicker with some scenes during Brooklyn's Finest. Make the step up to the Blu-ray of Predators and the Philips produces a very rich, lush picture, perfect for painting the greens and browns of the alien jungle. Characters are sharply drawn, although the very best players at this price give you even greater insight and stability. Finish off with a spot of 3D Blu-ray and the Philips helps to produce a fine image, but viewed via Sony and Panasonic rivals you get a more pronounced and captivating 3D effect – the Philips doesn't have quite the same grasp on the wide panning shots as its peers. Another slight drawback is with sound quality. In isolation, the Philips appears lively enough, but it can edge into an undoubted brightness when compared with the class leaders. During Predators, the mix of gunfire and energy bolts produces an edge and hardness that can't be tamed. Greater richness and solidity would definitely come in handy here. If you want a matching 3D Blu-ray player for your Philips 3D TV, then this is clearly the machine to go for. If you can do without the brand match, some rival machines are better all-rounders.